There are stories of a wolf wandering through the woods near an isolated German town. Jakob, the young police officer is following him but with a sense that there is something else out there in the darkness of the backwaters of rural East Germany. He then finds a man who seems to be wild; a thin man wearing a dress and carrying a Katana, a Samurai sword. The strange man invites Jakob to join him on his crusade toward the village and Jakob now takes it upon himself to pursue this person and end the destruction he has been causing by decapitating villagers. 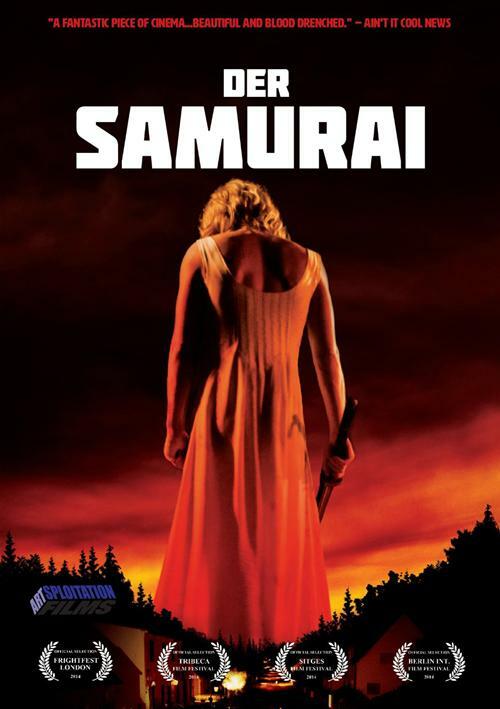 As heads roll with each stroke of his sword, dutiful, straight-laced cop Jakob becomes increasingly powerless to resist the draw of the Samurai's feral otherness. The two enter into a bizarre folie-a-deux as Jakob is to confront his own carnal impulses that he has long sought to repress. By the time the night is over, Jakob has experienced way too much and is no longer who he once was. Something hidden has been unleashed to meet the first rays of daylight.